I am so thrilled and honored to introduce you to one of my new sponsors today, Linkel Designs. 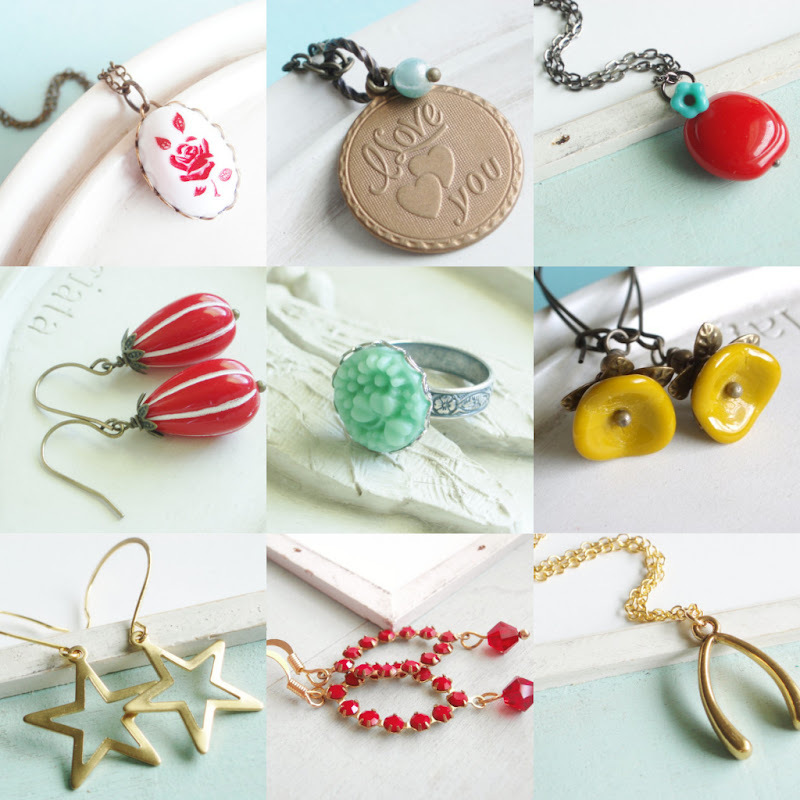 The shop is full of fun and affordable baubles - lots of bright pops of red, gold and blue perfect for gifting this holiday season or for a little something to wear to all the festive parties happening this time of year. Kelly, the amazing woman behind Linkel Designs is an artist, musician and Mom to two little boys. She writes an adorable blog, The Pretty Bee takes beautiful photographs and is all around inspiring. I am loving her blog right now, full of beauty, truth, recipes, and crafts...it's a good one you should definitely check it out! Kelly is offering a $30 gift certificate to one lucky reader for her shop this holiday season. To enter leave a comment below, a second entry if you like her on facebook or google friend connect just leave a separate comment letting me know you did so. What would you buy if you won? Personally these peppermint vintage earrings are calling my name. Use coupon code SUNSHINE to save an extra 10% on your order this month, thanks so much Kelly it's a joy to have you!! I LOVE Linkel Designs!!! I have about 25 things already "favorited" from her etsy shop so I would have to let my husband or kids decide. LOVE her!!!! I love all those rings! Gorgeous! I love the camera necklace and the Large Earrings - Byzantine - Petal Pink! I adore the honey bee earrings! 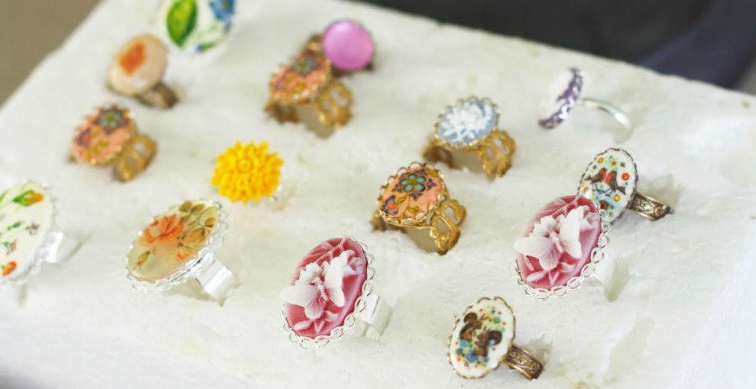 i think i would choose the cameo ring or maybe the chevron necklace. merci for the give away ! beautiful stuff! I love the statement brass leaf earrings or the pink dahlia studs. and I liked her on facebook! So many pretty things! I love the silver and purple teardrop earrings. Love the Willow tree necklace!! Also liked the facebook page! gorgeous! i love, love, love the rings, but the vintage style necklaces also are lovely! oh, and i liked her facebook page! fingers crossed! I've loved this store for a while, everything is so cute! Beautiful! I love the reds! Also liked her FB page! Oh everything is so pretty! I love her necklaces! they are so fun.